The last of the troopers from the two units are done. The two bombers and two HQ staff are next to be finished, and then I’ll pst a complete force picture. 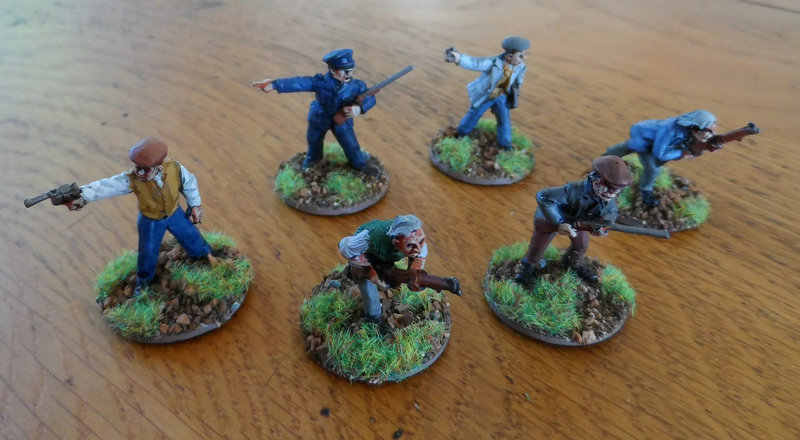 Progress has also been made on a couple more items, and I’m working up a list of things that need to be painted for the 20th october – our next Big Game. It was really painful – no idea how you did all the cities and Doctors so quickly !